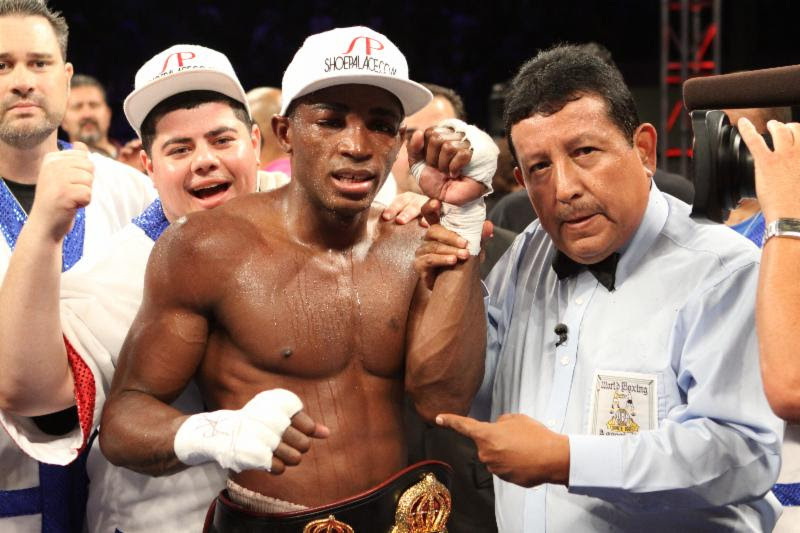 HOUSTON, TX – Super Welterweight sensation, Erislandy “The American Dream” Lara (19-1-2, 12 KOs) has been elevated to World Champion by the WBA (World Boxing Association) after successfully defending his interim title against Afredo Angulo (22-4, 18 KOs) and Austin Trout (26-2, 14 KOs). The Cuban born fighter, who now resides in Houston, Texas, is happy that the WBA has made their decision to make him a World Champion. Lara can arguably be referred to as an undefeated fighter, but was robbed in his only loss on record, a controversial majority decision debacle against Paul Williams, that forced the New Jersey State Athletic Commission to suspend all three judges scoring that night for their incompetent judging. With the elevated status of WBA World Champion, Lara feels his career is heading in the right direction. He wants to challenge the best fighters in the world and knows what it’s going to take to get those fighters in the ring. “It’s no secret that I would like to challenge the likes of Canelo Alvarez, Floyd Mayweather, Gennandy Golovkin and any other top fighter that feels they are the best. I’ll fight anyone. I’m going to keep working hard and do my best to keep winning fights. Boxing should be about the best fighting the best. If we were back in the old days of Sugar Ray Robinson and Joe Louis, all these fights would have been made already. I’m hoping boxing resurrects itself to the days when the best fought the best. I love this sport and I will do what ever it takes to make it better for the fans.” Lara concluded.